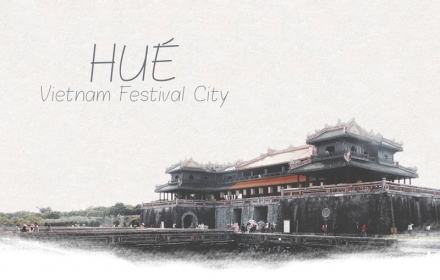 Hue city is famous with the romance Perfume river, the Citadel and royal tombs. 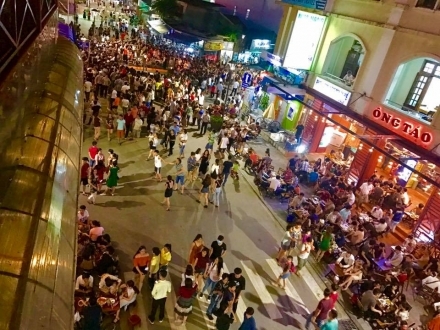 To help the travelers in Hoi an and Da nang have a chance to visit this beautiful Hue city in 1 day, we operate this Hue city small group tour departing and finishing at Hoi An or Da nang. 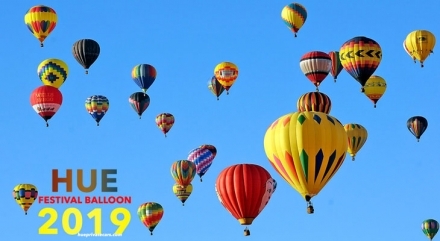 With this tour, you have a chance to not only discover the history, architecture and the culture of Hue ancient city but also explore the daily life of local people and enjoy special Hue’s food. Join in our Hue city tour from Da nang or Hoi an, we make sure that you will have unforgettable memories. Why you should join this Group Tour ? – If you are staying Hue after your journey, please let our staff know in advance. – Any special requirements, do not hesitate to let us know! 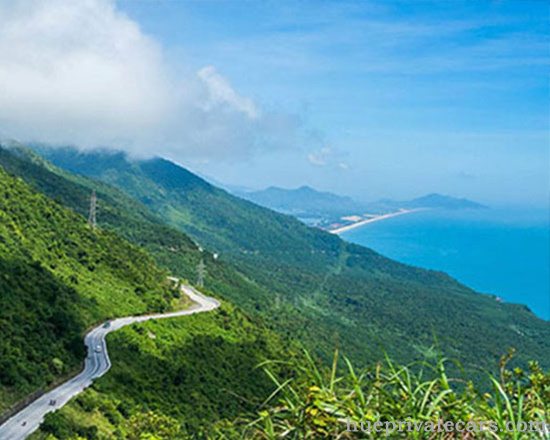 – Begin the journey to Hue by crossing one of the best coastal roads in the world, the Hai Van Pass (the highest pass and one of the most scenic hillside roads in Viet Nam). You will have a 30 minutes stop at the peak and 5 minutes to take photo at Lang Co Beach. 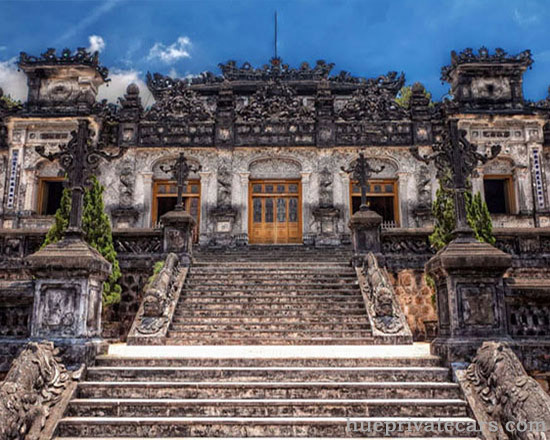 – 11:00 am: Visit the Khai Dinh Tomb, a stunning blend of Western and Eastern architecture constructed between 1920-1931 for the 12th emperor of Nguyen Dynasty. – 12:30 pm: Enjoy a delicious lunch at a Local Restaurant serving best Hue dishes. 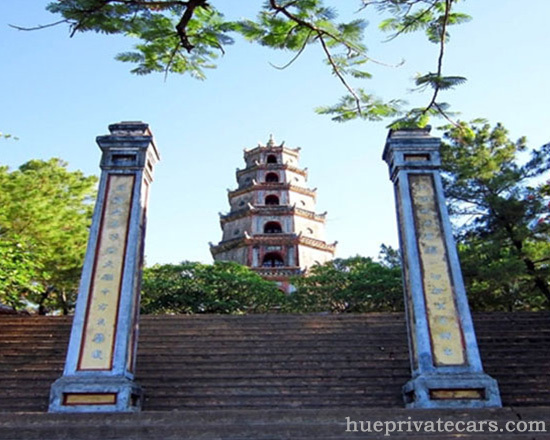 – 15:00 pm: Explore Thien Mu Pagoda, the largest pagoda in Hue City. 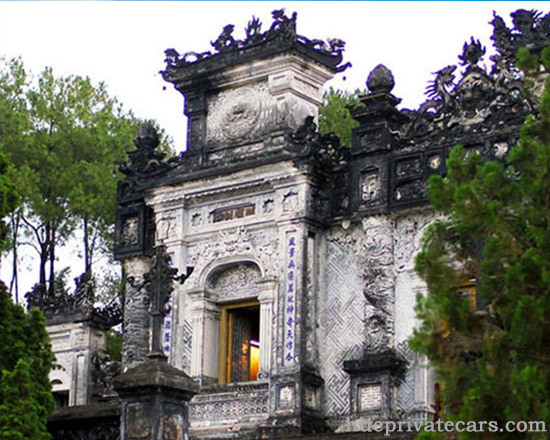 Built in 1601, it’s the subject to many local folk rhymes and is considered the unofficial symbol of Hue. – >=10 yrs : as adults. 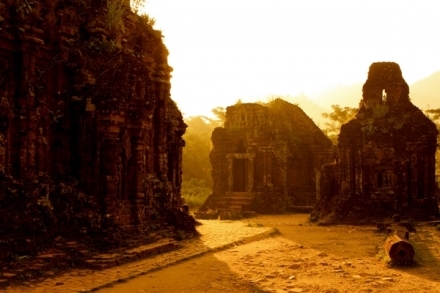 I am a solo traveller interested in this tour (Hoi An – Hue – Hoi An). If I am the only person to book the tour on a particular day, will the tour still go ahead? Will the price still be $45USD? Hi, We would like to know how much is this tour? 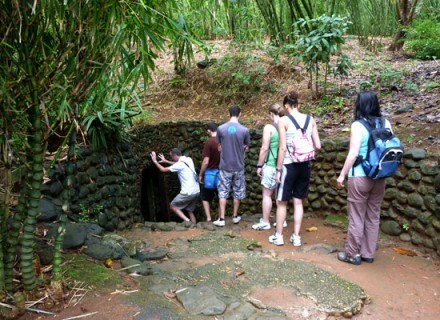 Yes, this is Small Group Tour (max 12 people), and the price is 45$/pax with all inclusive. I would like to enquire about the price of a tour with a private car from Hoi An to Hue and back to Danang with 4 adults. Kindly send me detailed information on this tour and its itinerary through my email. Just wondering if this trip can be done be private car one way, starting in Hoi An and finishing in Hue? If so, how much would this cost? Hope to have chance to serve you! I wanted to book a private car from Hue to Hoi An (one way) covering the Hai Van Pass. Is that something that’s possible and how much would it cost? Could you also tell me the time it will take to travel between Hue to Hoi An with a few stops for photos and lunch? Hi Ferbs. Thanks for asking us. The price for a sedan 4 seater is 59$, and 69$/ an SUV 7 seater. Extra charges if you want to visit Elephant springs and Linh Ung Pagoda. 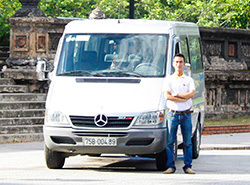 Hi, do you have a private tour for the Hoi An-Hue-Hoi An route for 3 adults? It’s private service all inclusive. And if you have 3 people, the price is 64$/pax. Hello, we are a family of 4 (mom, dad, 2 older kids 20 & 17 yrs.). We are interested in booking this tour with a private car. 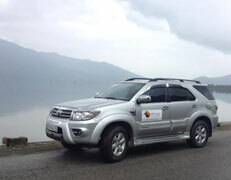 We would like to be picked up at our hotel in Da Nang, have the tour of Hue, then dropped off at our hotel in Hoi An. Is this possible and what is the price? We will offer for you an SUV 7 seater. 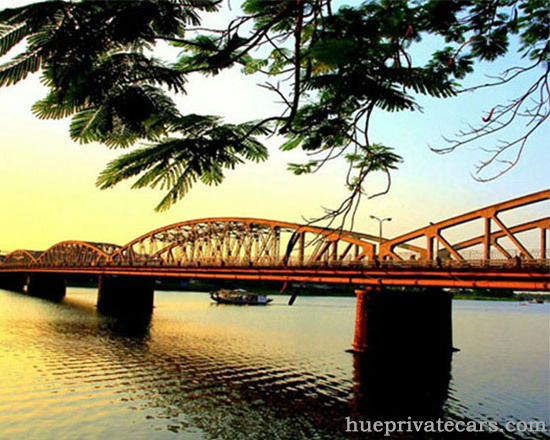 And the price for this is 95$/ car 7 seats/ Da Nang – Hue – Hoi An in 1 day. This tour is Group Tour (combine Bus and Tour), about 15-25 pax per group. 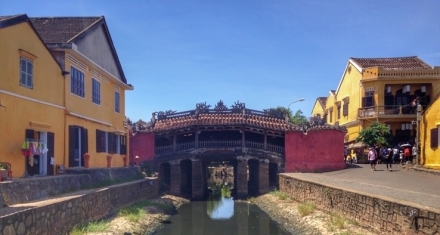 I’ve booked Hoi An – Hue – Hoi An 1 day Group Tour for 2 adults on 30 Mar. Will you please check and send me your confirmation and some questions by return e-mail? Hi Ree. Yes, we’ve sent email to you already. Please check email and confirm your booking with us 🙂 Have a nice day! 13:30 pm: Continue the trip to Royal Citadel <- is this Nguyễn triều? if not, is there any tour including Nguyễn triều? “Nguyễn Triều” means “Nguyen Dynasty”, and there are 13 Kings. Imperial Citadel is a construction, the Imperial City of Nguyen Dynasty, where the King live when they alive. Royal Tombs are the Tomb that the king built when he died. 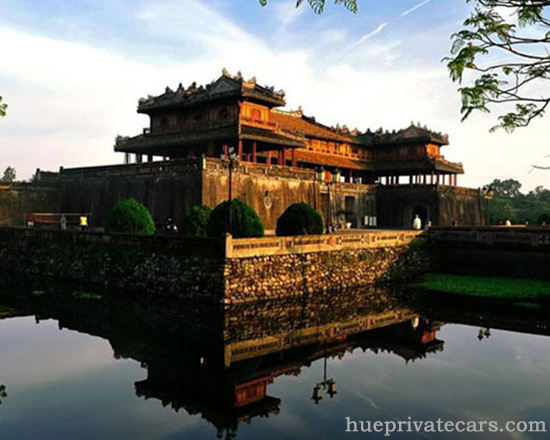 Yes, if you do Private Car only for this trip Hoi An – Hue – Hoi An, the price is only 85$/ sedan 4 seater car / 2 ways Hoi An – Hue and back. I have luggages (2 carry on) with me. Can I bring them in this group tour? I am also interested in private tour for 2 people. 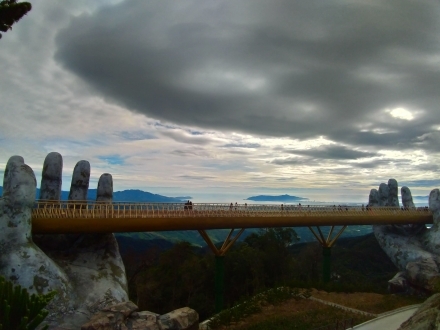 Hoi an to Hue to Da Nang. October 22 Sunday. Yes, you can bring your luggage with us, please leave at the Bus, and remember to always bring your small bags and value things besides you. Please check your email, and hope to hear from you! If you have 8 people, you should book a private tour, the price is not different too much. Plz check your email, and back to us when you have decision!